There are both significant obstacles and emerging opportunities for women who want to work in the technology industry, whether in a regular post or rising to become chief information officer. There is simply not enough representation of women within the industry, but there are some clear signs of improvement. This alarmingly low figure is in spite of the “huge numbers of opportunities”, in areas such as cyber security, business continuity, data analysis, technology refresh, network and server management, web design and customer relationship management. 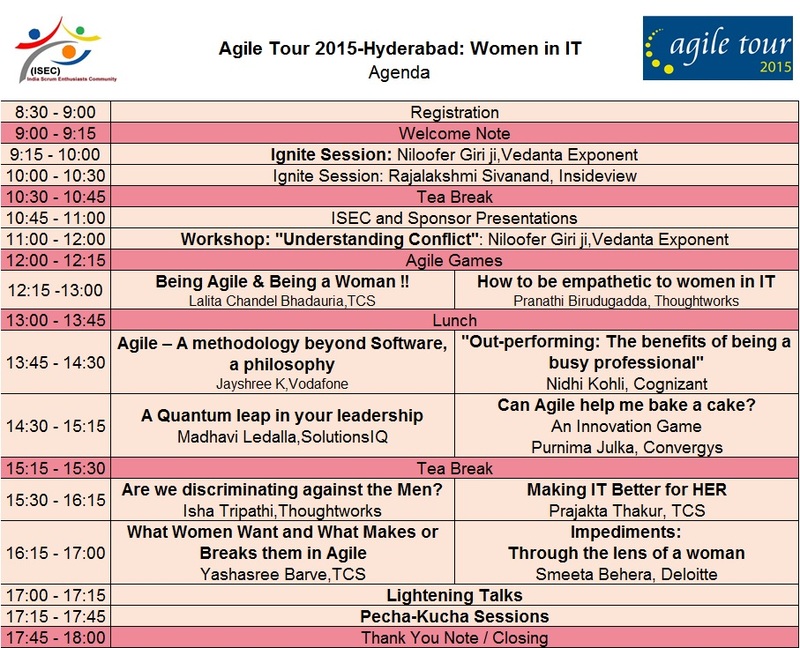 The conference will focus on Women in IT and their role in building successful Agile teams. We would also discuss about how Agile Philosophy can be applied to everyday life and can help us make our family and work life better.